The Training Course will focus on fostering digital inclusion of young people and youth workers by raising awareness, developing their competences and sharing best practices. The sessions before the summit will be dedicated to workshops and debates in the digital field (tools, practices, communication paradigm). Participants will get the know-how and the know-why to use digital work in order to reinforce sustainable development. The summit will be attended by TC participants and other over 100 Romanian young people and youth workers. It will be organized in the TED format and participants with an outstanding background in the digital field will be invited as speakers.The sessions after the summit will be allocated for the planning and preparation of visibility and dissemination of results local events, evaluation and follow-up. 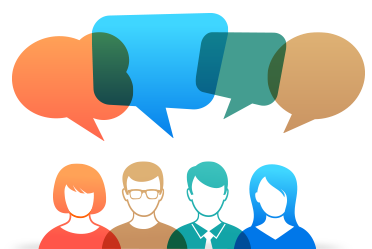 According to Erasmus+ regulations, each partner is responsible of ensuring the visibility of the project (through online and/or offline methods) and the dissemination of project results. A 75-150 EUR budget will be allocated to each partner for covering costs related to these activities. Youth workers, project managers, youth leaders (over 18) from Programme countries. Partner organisation should be ready to to contribute actively to the preparation, implementation and evaluation of all activities mentioned above. Group of the European Youth for Change - GEYC is a Romanian NGO whose mission is to empower young people to change their community. GEYC is coordinating PRISMA European Network and it is a member of Advisory Council on Youth of the Ministry of Youth and Sport (Romanian Government) as well as the Grand Coalition for Digital Jobs (European Commission). Our Facebook page aims to be an informative portal for young people providing valuable content in the following fields: news, education, entrepreneurship, responsibility, human rights, Romanian culture and civilization, Culture and intercultural dialogue and entertainment. Partnerships: GEYC has a close partnership with the following public institutions: European Commission Representation in Romania, European Parliament Information Office in Romania, Ministry of Youth and Sport (Romanian Government), Bucharest City Hall and 1st District of Bucharest City Hall. GEYC launched and coordinates GEYC Resources Center, an online center of resources aimed to offer a wide variety of online free tools about multimedia and social media topics aimed to help both individuals and organizations in their work. The organizer will not require any participation fee for this project! Download, fill, sign and stamp the Erasmus+ mandate. Then scan it in .pdf version. 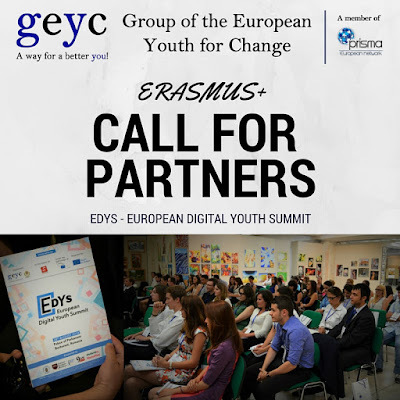 Send both documents together as attachments to office@geyc.ro, subject: ”EDYS - Your country - Your organisation”. Incomplete, incorrect or ineligible applications can not be considered. Step 2: Selected organisations will be required to sign a memorandum of understanding including all the terms related to this project (stated in this call for partners and specific rules applied by the Romanian National Agency in case the project will be approved). Please make sure you complete the both steps by January, 29th, 2016! If you need to contact us, send us a message through the Contact form or through Facebook (as a private message). 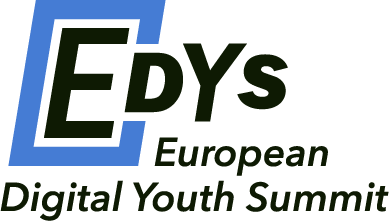 In both cases, mention you are interested to apply for EDYS project.